1. Powered by 2pcs CR 2032/3V batteries. 2. With 2 red LED lights + 2 white LED lights, white lights are used for lighting, red lights are used for alarming. 4. Clip design, easy to fix up and use. 5. Built-in reed pipe, LED lights will be off when two lights buckled up, LED lights will be on when separating two lights. 6. Waterproof construction design which ensure your daily outdoor activities unobstructed. 8. 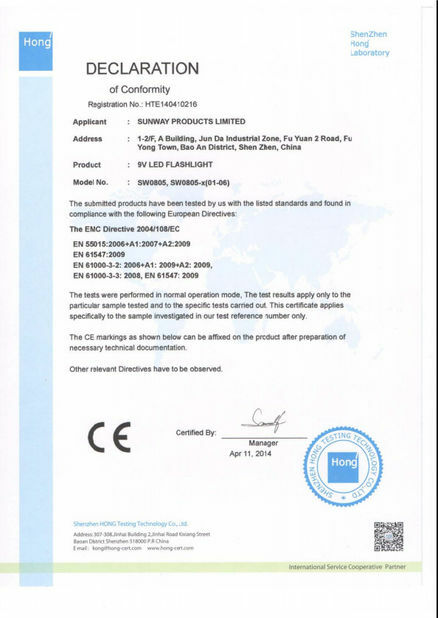 Patent product, certified by Rohs. 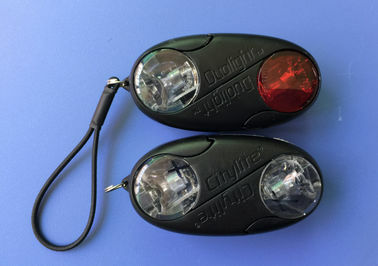 The LED Bicycle Light is designed for riding bike in the night, hiking, cycling, running and other outdoor activities. 1. This LED Bicycle Light is water-resistant under daily use and can be used in the rain. However, do not intentionally submerge it in water. 3. Insert batteries with correct polarity. 4. This LED Bicycle Light is water-resistant under daily use and can be used in the rain. However, do not intentionally submerge it in water. 5. Keep away from fire and extreme heat. 6. Please keep out of the reach of children and pets. 7. Don’t mix old and new batteries! 8. Do not incinerate, compact, or disassemble batteries. 9. Recycle old batteries whenever possible. If recycling is unavailable in your area, dispose of old batteries in accordance with local regulations. 1. We will reply your inquiry within 24 hours. 2. 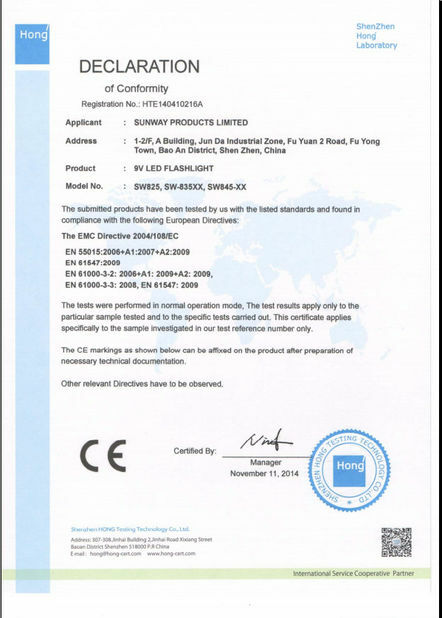 After-sale service: 2 years, any quality problems products within warranty will get maintenance or replacement unconditionally. 3. Shipment methods: International Express, Air freight, Sea Freight.